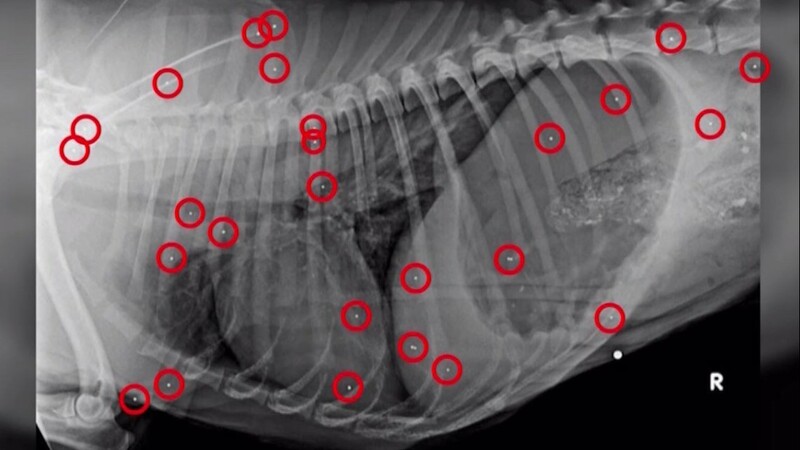 "He loves physical attention and has started jumping up, he's wagging his tail. 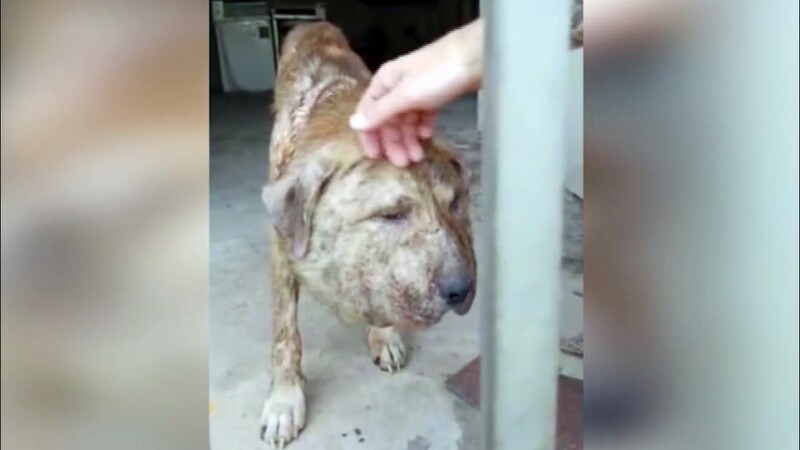 He's doing really well." 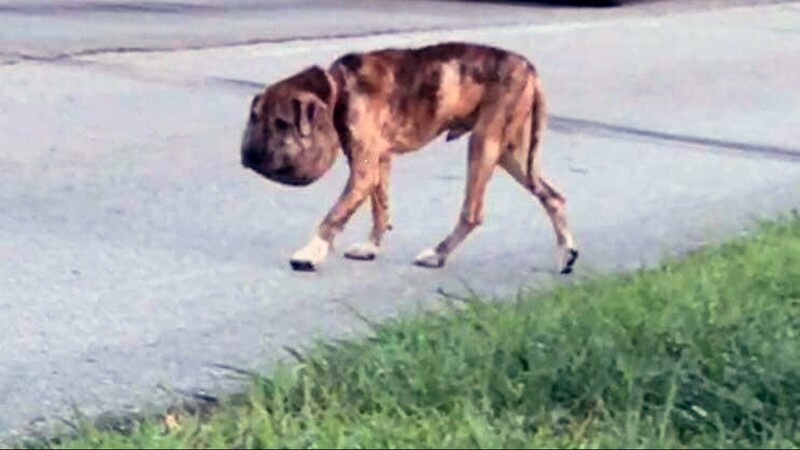 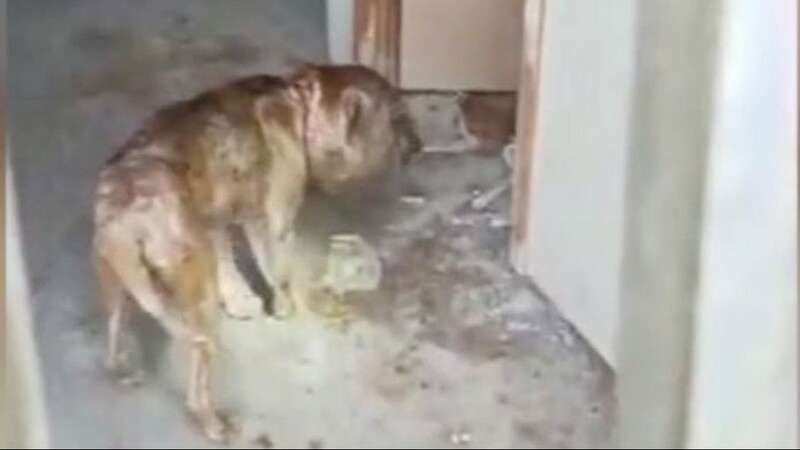 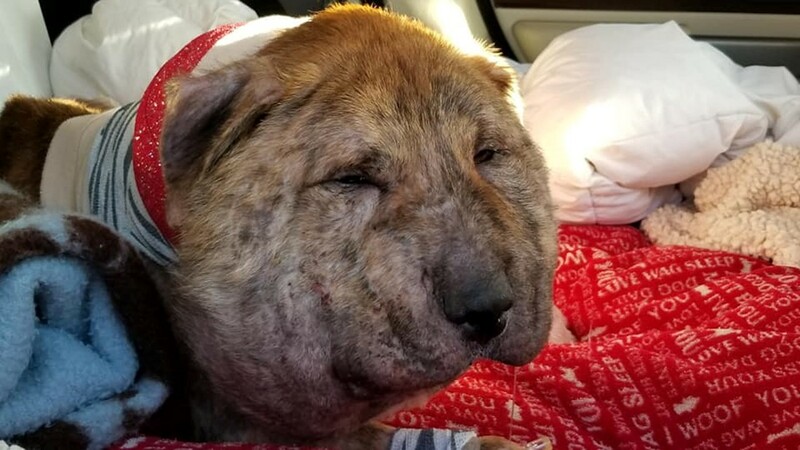 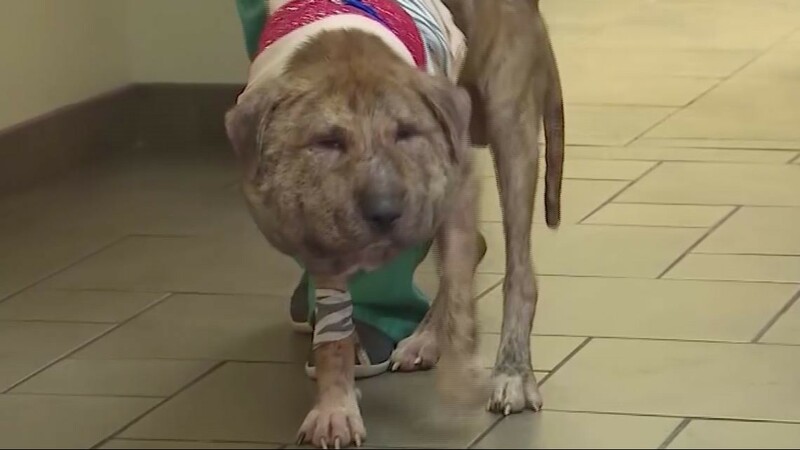 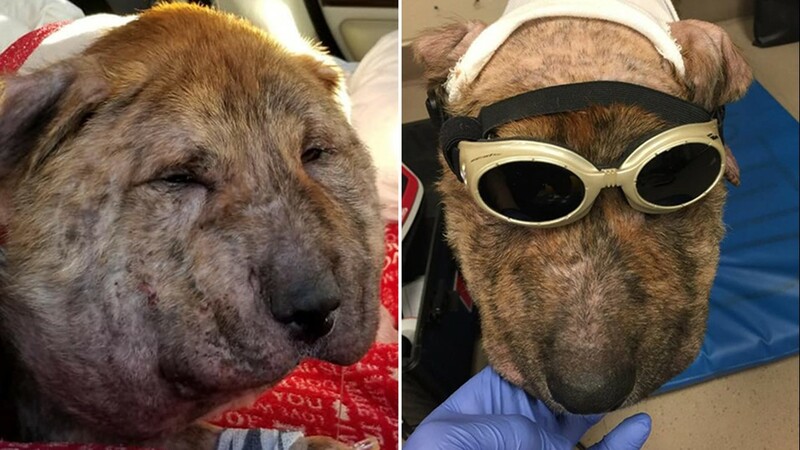 COLLEGE STATION, Texas — Ten days ago, a dog named Gus was wondering around southeast Houston with a shoestring embedded in his severely swollen neck and a body full of pellets. 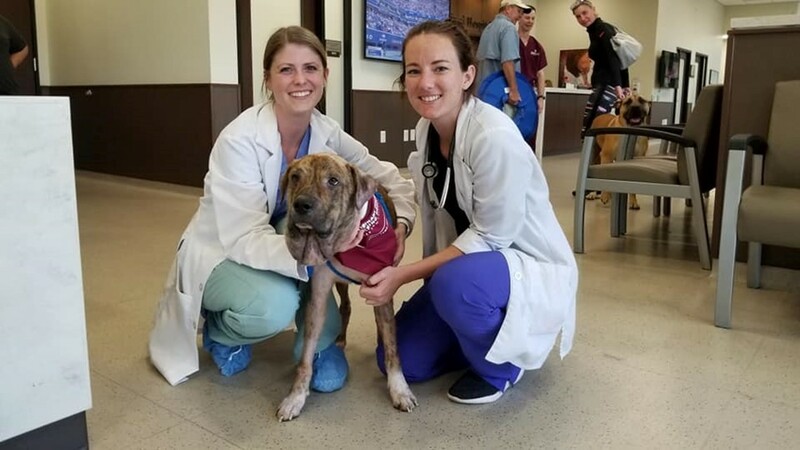 When rescuers from K911 Rescue took Gus to Vergi Animal Hospital in Houston --and later to Texas A&M’s Small Animal Hospital -- veterinarians weren’t even sure they could save him. 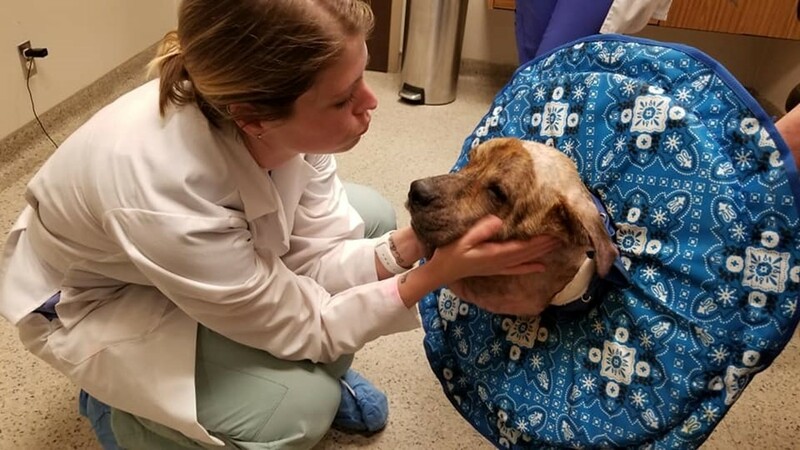 After two surgeries and a lot of TLC, Gus has made a miraculous recovery. 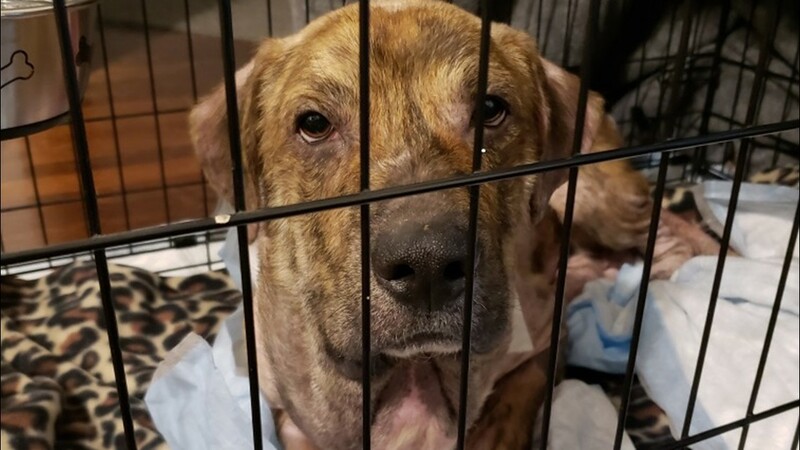 He is out of the hospital and making himself at home with his new foster family. 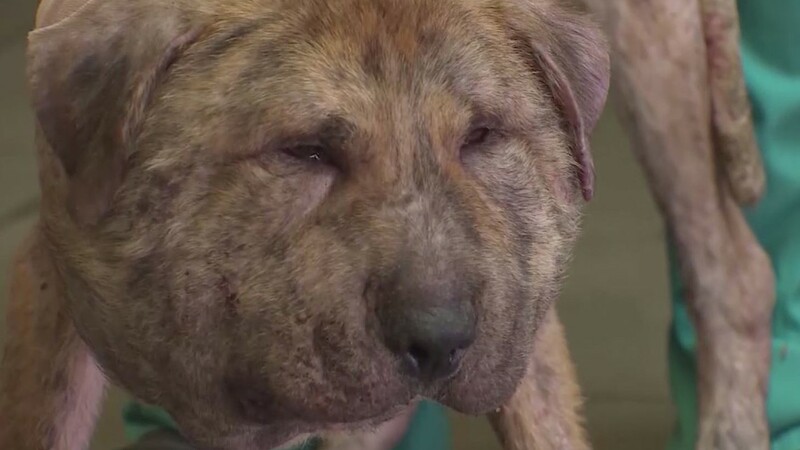 “He loves physical attention and has started jumping up, he’s wagging his tail. 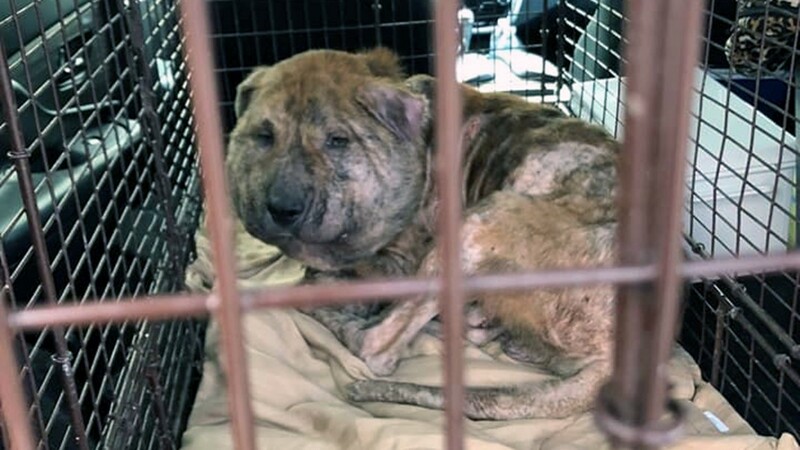 He’s doing really well,” said Marina Harrison, Gus’ foster mom. 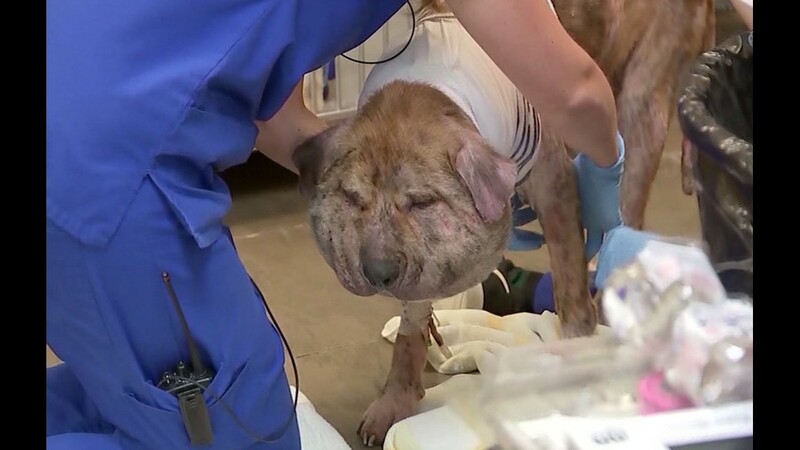 Harrison is also a veterinary technician who helped treat the animal at Texas A&M University. 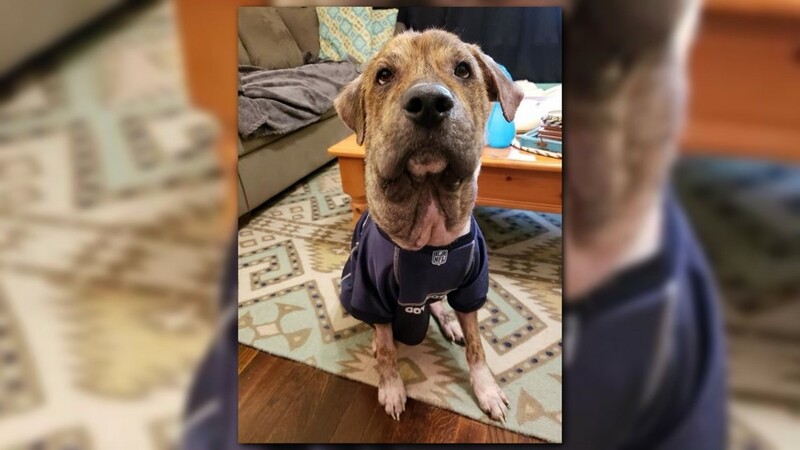 Vets will know if Gus needs a third surgery soon. 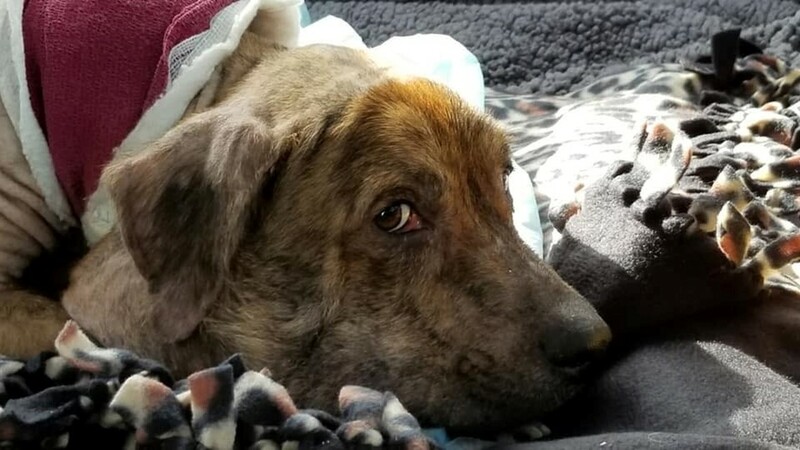 If he doesn’t, Gus will be ready for his forever home in the next few months. 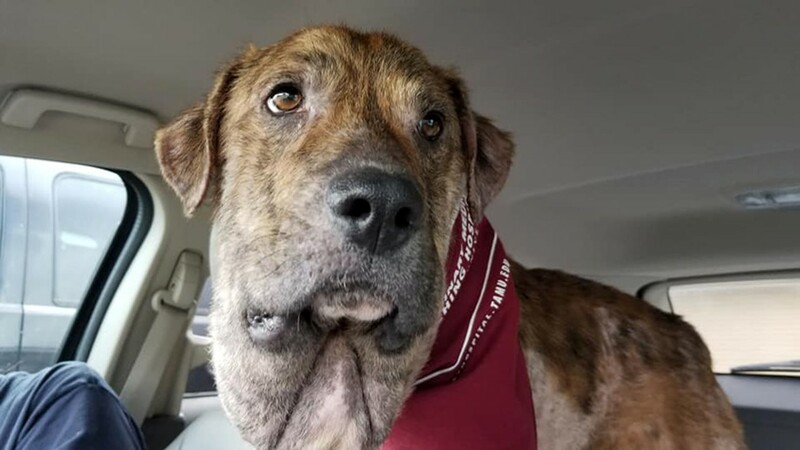 His foster mom wants people to be aware that Gus’ story isn’t unique.